First AOHL Power Rankings of the 2018-19 season. Keep in mind, it is still VERY early and most teams are still waiting to see who they get back from NHL and AHL camps. For the early season rankings, I will combine pre-season expectations, as well as performance. Stephen Dhillon has been one of the league’s top goalies, but this year he has a bit more support in front of him. That showed in the season opener, despite letting in six goals, his team score eight to pick up the win. Akil Thomas (1g 4a) was a big part of the offence, earning him the OHL’s Player of the Week honours. Ivan Lodnia (2g 1a) had a good opening weekend with his new team, coming over in an offseason trade from Erie. Connor McMichael (2g 1a) and Matvey Guskov (1g 2a) both had three point efforts in London’s 5-2 season opening win over Windsor. London looked good in their season debut, and could get even better. Goalie Joseph Raaymakers as been returned to the team from Columbus, although several top players still remain at NHL camps. This team will be elite if they return. A dominant win over Owen Sound to open the season. Pekar Matej (2g 2a) and Ryan Suzuki (1g 3a) had four points in a pair of weekend games. Maksim Zhukov was also solid in net, playing in his first two OHL games. The only team to pick up a pair of wins during the OHL’s opening weekend, and that included an impressive win in Ottawa. Christopher Pacquette scored a league-high four goals, which included a hat trick against the 67’s. Hunter Jones made 38 saves in the season opener against Kingston to record his first OHL shutout. Followed up an impressive win over Sault Ste Marie with a loss against Sarnia. The Spirit got strong play from their young guns, particularly Cole Perfetti. The blueline took a hit with captain Keaton Middleton signing an AHL contract with San Jose. The team didn’t waste much time in finding a replace, adding Reagan O’Grady from the Mississauga. A team that should move up this list in the coming weeks, but for now here they sit. It wasn’t that they lost to Peterborough, but how they lost. Several giveaways and poor D-zone coverage was surprising to see from a team with one of the deepest blue lines in the league. I had to to a double take when I saw the box score of Erie’s 12-1 win over Flint. If this game happened two seasons ago it would have made a whole lot of sense, but it caught me of guard this year. Kyle Maksimovich (1g 3a), Gera Poddubnyi (2g 2a) and Christian Girhiny (4a) all had four-point nights, while Emmett Sproule scored twice. Don’t look into the game too much, it seems everything that could go right for the Otters did. One game, one win for the Sting. Sarnia’s first round pick Jacob Perreault and Anthony Salinitri (who could be one of the league’s top OA’s) both scored a pair of goals in the win. The big question with the Sting this season is goaltending, and Aidan Hughes looked great in the win, turning aside 28 shots. Not nearly the dominant force they were last season, but with a couple of key pieces returning the Greyhounds will still be a tough team to face this season. Morgan Frost is a serious candidate to lead the league in points, and he picked up a goal and two assists to start the season. Matthew Villalta has been blessed with a strong D-core playing in front of him during his OHL career, this year will be different. He still made 33 saves to record a shutout against North Bay. Similar to Sault Ste Marie, this is not the same Hamilton team that won the OHL Championship last year. Still, they have enough returning veterans they should still be pretty good, for the first half of the season anyways. Brandon Saigeon (2g 5a) and Arthur Kaliyev (3g 2a) were both dominant in the opening weekend. 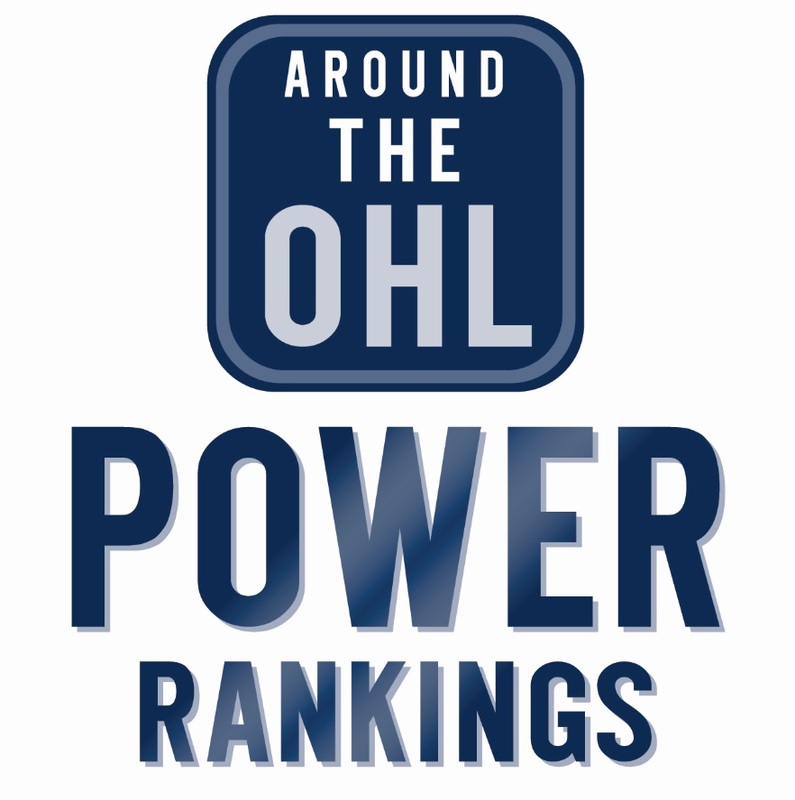 Tags: AOHL Power Rankings, Barrie Colts, Erie Otters, Hamilton Bulldogs, London Knights, Niagara IceDogs, OHL, Ottawa 67's, Peterborough Petes, Saginaw Spirit, Sarnia Sting, Sault Ste. Marie Greyhounds. Bookmark the permalink.